How to feel comfortable, comfortable with a towel by yourself choose. Not all towels are smooth, well absorbent. Even when we buy a scarf that seems to be very soft, but after only one or two washings, the towel becomes rough, losing its absorbency. The following 5 steps will help you choose a good towel to meet your needs. Step 1: What is a good towel? Authorized authorities, manufacturers, importers and traders before the sale of goods to the market must announce technical regulation conformity, stamped conformity (CR) according to the current regulations. Relevant authorities allow the enterprise to be announced canonical in two forms is self-published or based on the results of certification and assessment of the designated organization. ➡️ Modal towel is made from oak fiber. 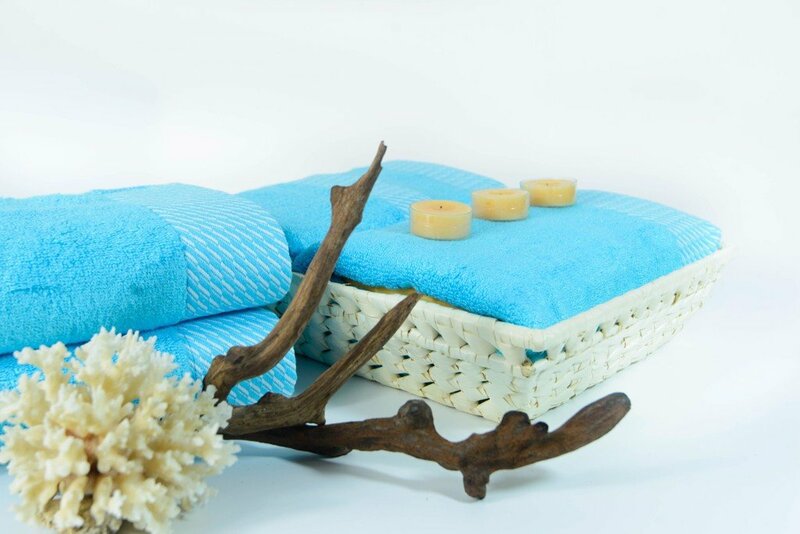 The highlight of this towel is super soft and towel has the mechanical properties expand, absorb water well Cotton yarns are made from cotton yarn with good water absorption, high color fastness and special shock resistance with high gravity when washing machine as well as washing hands. Safe for the skin, comfortable to use. ➡️Notwist threads are made of 100% cotton yarn, which is about 50% lower than cotton towel. 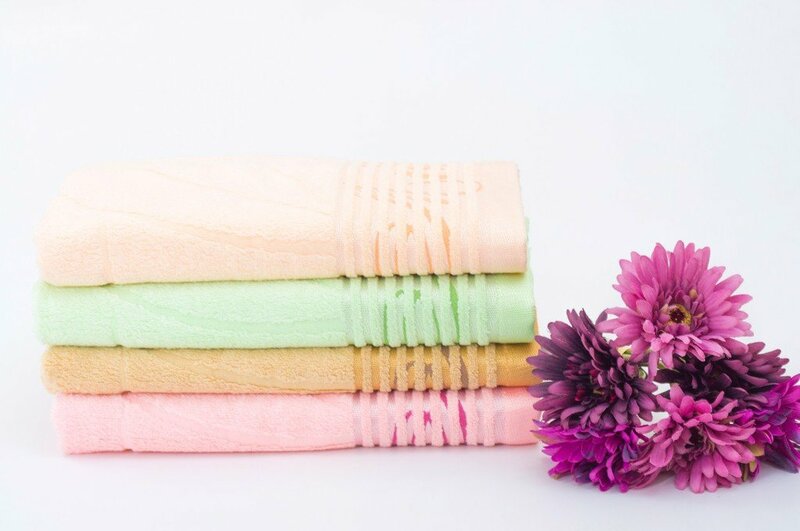 The characteristics of this towel is smooth and very good water absorption, however, if many times washable easy to damage and loss of cotton dust. ➡️Bamboo (bamboo fiber) is made from 100% bamboo fiber in accordance with the specific production process. In the composition of bamboo fiber with chlorophyll and sodium copper has antibacterial effect, deodorant is very good. Bamboo fiber towel is strong against ultraviolet rays due to its ion-generating function, producing far infrared rays and ultraviolet rays. 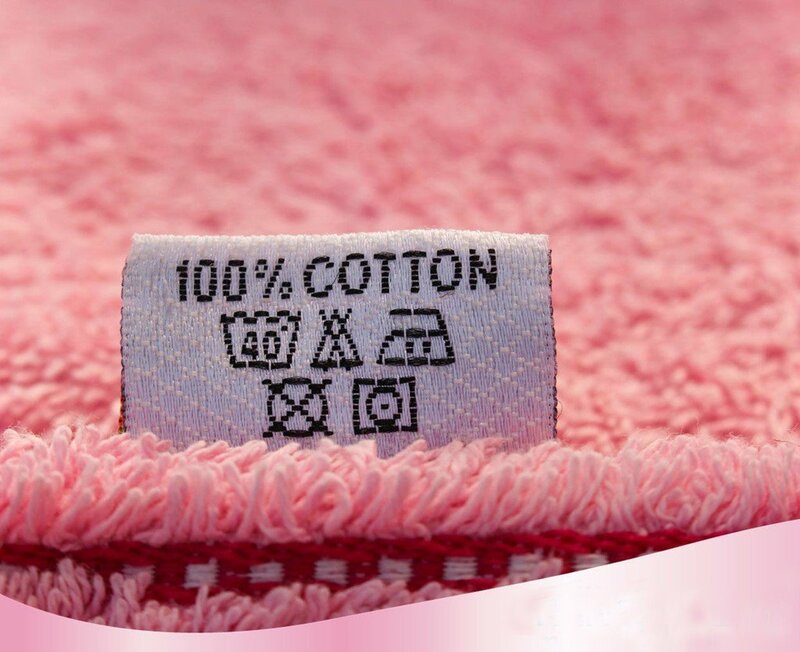 The towel has twice the absorbency of normal cotton so it is very soft and does not scaly the skin. Especially, even when wet, bamboo fiber is still soft. Characteristic of the material is bamboo, a natural plant that is not subjected to any chemical effects or pollutants. Towels self-destruct in the natural environment after use. ➡️Soybean Protein (soy protein fiber) is made from soybean fiber. Ultra-hygroscopic towel, especially 16 amino acids in vegetable protein fibers, nourishes and regenerates healthy skin, especially those with dry and rough skin. ➡️Tencel is made from wood-based fibers based on new nanotechnology. Highlights of this product line is self-decomposition in the natural environment, not polluting the environment. Towel has a high gloss, not shrinkage and wrinkles, airy. Tencel has a water absorbency of 1.5 times that of Cotton. Choose the towel with the right needs for you. Feelings are soft or rough, if the fabric is a low quality towel. Choose a bath towel that suits you. 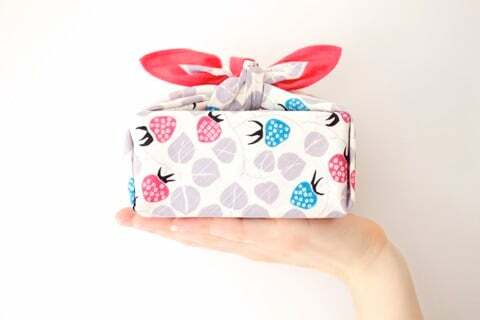 Do not choose too large, because after bath or washing towel will quickly dry. "Quality comes with quality" if you want the best quality towel, you will spend more money. If you spend a lot of money, the use of towels will be longer, so you will save money in the long run and not replace them often. Find towels of the same color with your bathroom decor. Remember that the towel will eventually fade. White towels can always be bleached if necessary to whiten them. Towels should be washed before use and do not need to wash the towels too carefully during this first wash.